Google Assistant is a huge part of the company’s current portfolio of services. So are Chromebooks. However, for now, the Pixelbook is the only Chromebook with access to Assistant on Chrome OS. Fortunately, the latest Google Canary builds show that a fix for other Chromebooks is around the corner. 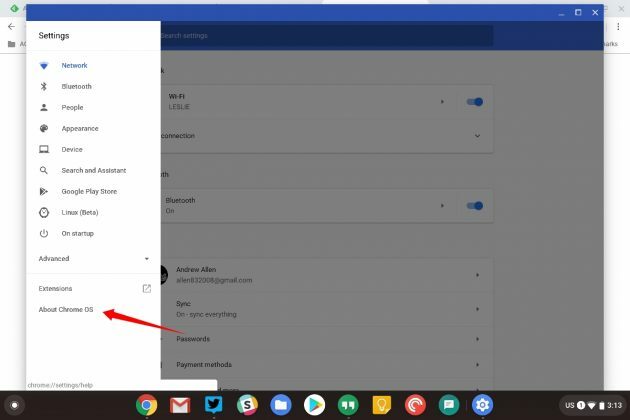 This tweak will allow for older Chromebooks other than the Google Pixelbook to have access to Google Assistant. We do offer a word of advice on the following instructions to always take in account that this requires two things we do not recommend for average users: manual enabling Chrome flags and updating to the Chrome Canary testing channel. Again this is two-fold and we’ll start with changing your Chromebook to the Canary channel. Hit the key combination of CTRL+ALT+T to enter the built-in command line for Chrome OS. Type this command without the quotations: “live_in_a_coal_mine”. Hit “y” for yes when prompted. Once the command completes, open the Settings app. 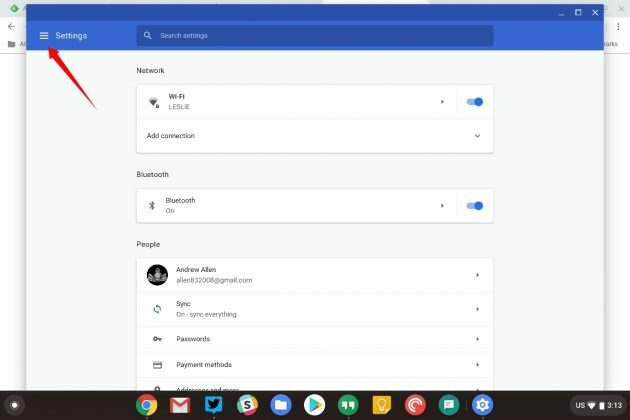 Click hamburger menu in the top left and select “About Chrome OS”. Chromebook will then update and ask you to restart. 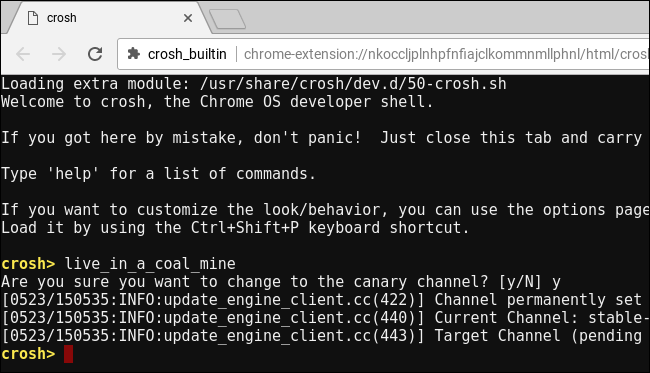 Welcome to the dark side of Chrome OS and you should now be running the Canary builds. Now we are ready for the second step of this tutorial of enabling the Assistant flag in Chrome’s hidden menu. Change the setting to “Enabled”. 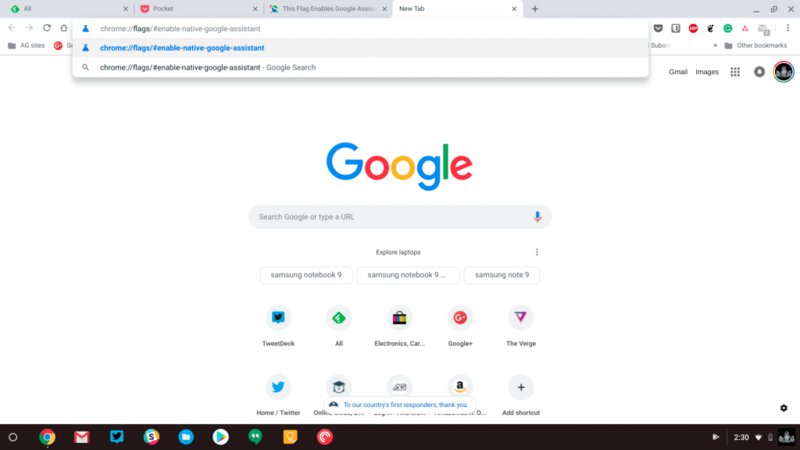 You should now have Google Assistant on your Chromebook. Again, we don’t condone some of the steps here for a stable Chrome OS experience. We honestly don’t even know what’s powering this version of Assistant. The Pixelbook is running a modified version of the Android app, but enablement via the flags page suggests this option may be a web variant.